His Excellency Prime Minister Adil Abd Al-Mahdi received this day in his office, the Chairman of the Iraqi-British Business Council Baroness Emma Nicholson, they discussed joint cooperation between Iraqi and British businessmen, companies and the proposed investment projects in Iraq. His Excellency confirmed that the stability of Iraq provides an opportunity to increase the efforts of construction and reconstruction, welcoming cooperation between Iraqi and British companies within the framework of the Business Council. 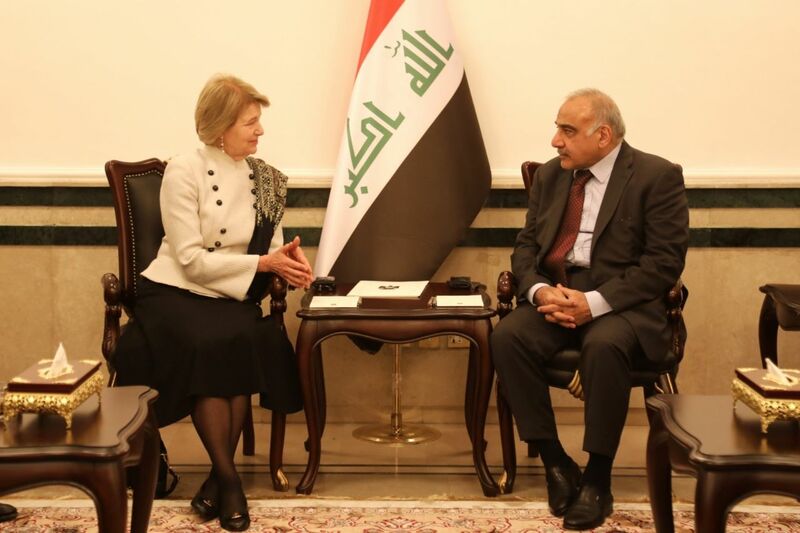 For her part, Baroness Emma Nicholson praised developments in Iraq, expressing the desire to expand the relations of cooperation and partnership, also reviewed the work of the Council in Iraq, future service and health projects.